1. Fun Contest: Contests may be fun but those with prizes are awesome! Conduct small contests for fans and give away smaller prizes. Coupons, candy bars and free car washes are some examples. Request the winner of each contest to post a picture of themselves with their prize so it encourages more fans to participate! This way, you can ensure popularity of your page! 2. Link Profiles: Always link your profiles, so it reaches wide audiences and readers. Incorporate the link to your like page in your blog, as your e-mail signature or send to your e-zine subscribers. When a user buys your product, make sure the checkbox that says “Send me regular offer letters and news/subscribe” is checked unless un-checked manually. Alternatively you can join many communities and leave links there that is directed to your FB fan page. 3. 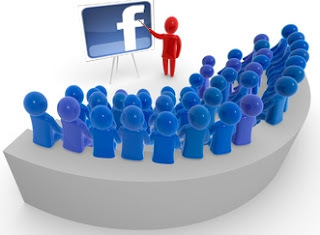 Buy an Audience: If you have started gaining popularity and would like to reach more people and don’t mind spending, you can place an Ad on Facebook and it will be visible on the right side of the page for the viewers. Facebook also offers the chance to “Promote” your page. When you keep updating your page, it gets promoted. You can also buy Google Ads that direct users to your page. 4. Do not Spam: Don’t repeatedly send subscriptions to fans – it might go to their spam. Make sure you do not overly publicize your product/service. Some people don’t like your constant buggering. 5. Advertise Intelligently: Do not advertise blindly. Make smart ads and see to that they reach the right people. In case your services are offered in the US only, do not target people in other countries, as it is just a waste of money and time! Choose the right age range, whether it’s for men/women and also the interests of the people depending upon their interests on their profiles. Choose between Pay Per Clicks (CPC) or Pay Per Impressions (CPM).